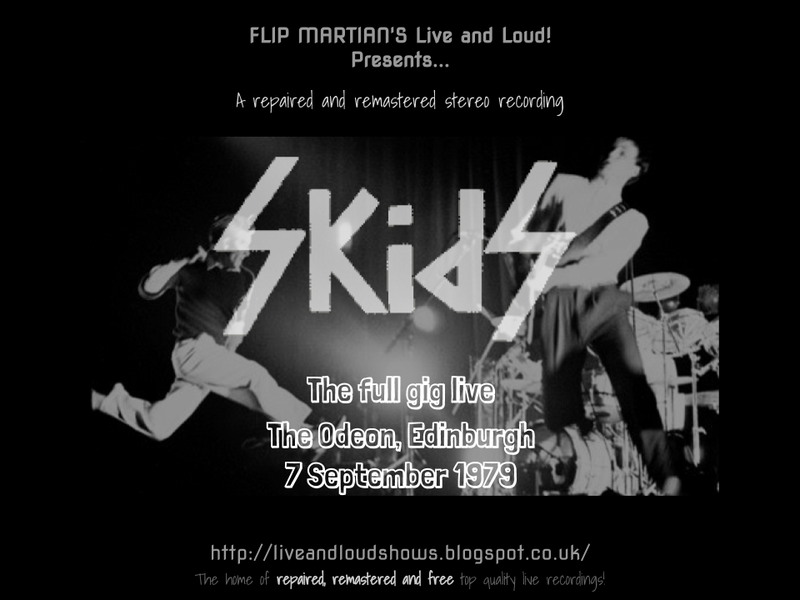 There seem to be very few recordings available for The Skids and most of those are audience recordings. However, I did find online a good stereo recording of a full gig from 1979 a month before the first release of Days In Europa. However, the copy online is damaged - the cassette it was stored on had deteriorated to the point that at several points the sound drops in places. So this one currently takes the prize for longest time spent restoring and repairing! I spent several hours going through and trying to restore what I could - some parts I could fix completely, some only partially fixed - ultimately there are still faults here and there but they're far less than before. After that, I used the 30 band EQ to enhance the bass, drums and guitar and create space between the instruments as per usual. The keyboards are still a bit too loud in the mix (not much I could do about those) but this is a great gig and well worth downloading. You can hear the band warm up as the gig continues and after the first few songs they're on fire. Lasting over 90 minutes, the show is available for download HERE as 1 MP3 file. Or, if you would like to have separate tagged MP3s, or even lossless files in FLAC format, head on over to the Donations tab to see how you can obtain these for a very small donation towards the site costs. Thanks, as always, for your hard work fixing these tapes up. The Skids were one of the great live acts of the period--Stuart Adamson (who went on to form Big Country)was one of the best guitarists of the period. This show is widely available. 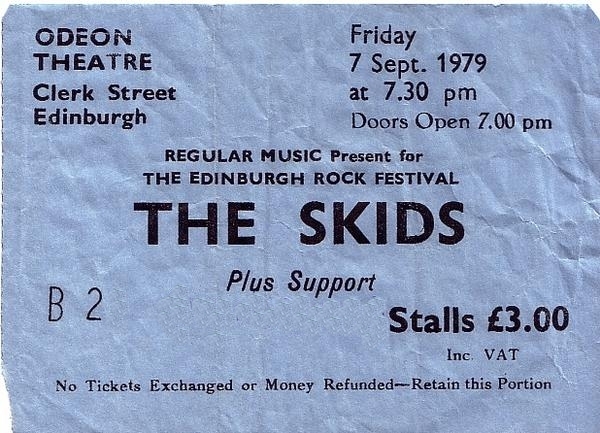 It seems to be the best unreleased gig in circulation, but was always marred by the fact that it seemed to be taken from the keyboardist's monitor and The Skids were never a keyboard band. This is much better! Thanks for leaving a comment, glad you enjoyed it. Yeah I wish I'd been able to see them back in the day. I'm a keys player myself but I totally agree - those synths get in the way being so loud. Hi there, thanks for taking the time to try and enhance this more than I did. The original cassette recording was mine and just so you know what the damage was. The cassette had jammed and had twisted the tape for quite a considerable length. I unraveled it and tried to smooth out most of the creases. The source of the tape was not from the FOH but from a very rough mix from the Virgin Mobile studio that was recording the show. Unfortunately this allowed the keyboards and Richards Guitar to be way high in the mix and Stuarts to be very low. Most of my attempt was to try and fill the gaps and It did mange to do a few cut n pastes to make it listenable. If you like I could send you the original wave files that I took from the tape and you could see if you would have better luck working with the original digital files. Hi Clive - thanks for getting in touch, appreciate it. Drop me an email at flip.martian@googlemail.com?